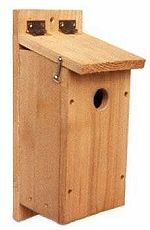 The nest box for red-bellied woodpeckers is constructed with red cedar. Wood stock is rough-cut on both sides so birds can grip interior and exterior surfaces. It has a 6″ by 6″ floor (inside dimensions), 14″ floor to ceiling (inside front), 2 1/2″ diameter entrance hole located 11″ above the floor (to top of hole) and ventilation openings in the floor and under the roof. Mount out of reach on a tree in a woodland edge or clearing. Leave a bed of wood chips (not sawdust) in the house. 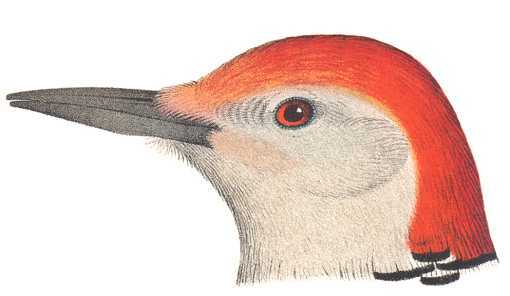 See the Red-bellied Woodpecker species page for habitat, nesting habits and ranges. Lewis’s Woodpeckers, Northern Flickers, and some Owl species may also use this box.